This year, Furia del Libro will present “Diálogos Latinoamericanos” (Latin American Dialogues in Spanish) titled Palpar el continente con palabras, together with the Consejo Nacional del Libro y la Lectura, and with the presence of twelve renowned authors. The Argentitian Edgardo Cozarinsky, María Sonia Cristoff, Selva Almada, Damián Tabarovsky, Daniel Link, Patricio Pron, J.P. Zooey, and the Salvadoran Horacio Castellanos Moya, the Ecuadorian Esteban Mayorga, the Mexican Fernanda Melchor, and the Uruguayans Inés Bortagaray and Horacio Cavallo will be the guests for this occation, where will participate in lectures, readings, and signature on books. In addition to participating in the Latin American Dialogues, all authors will be sharing their editorial novelties, already published or in preparation. For example, Edgardo Cozarinsky, who has just won the Hispanic-American Short Story Award Gabriel García Márquez, will present his book Huérfanos and the documentary Carta a un padre; the Uruguayan writer Inés Bortagaray, Special Jury Prize at the Sundance Festival 2016 for the script of Mi amiga del parque, launches her book Prontos, listos, ya; Selva Almada, translated into seven languages ​​by El viento que arrasa (2012) will present this book published in Chile last year; and J.P. Zooey launches his unpublished book Manija with a Chilean publisher. Daniel Link, Esteban Mayorga and María Sonia Cristoff will also present their new books at La Furia. The evento will have different discusión rounds, one of the “El libro: tecnología infalible. Nuevos formatos para contenidos urgentes” in which will be Elisa Massardo, editor of the Arte Al Límite journal, Julieta Marchant, parto of the editorial team Cuadro de Tiza and Eric Schierloh, founder of the micro-editorial Barba de Abejas on December 14th, at 16hrs. 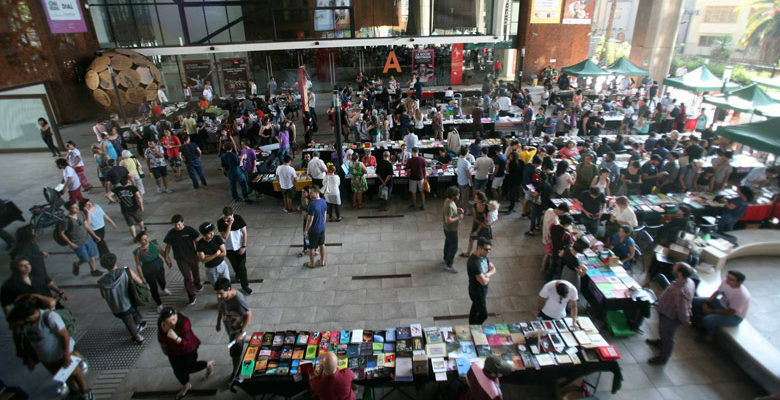 With nine years on the map, La Furia del Libro has managed to position Chile as the capital of independent publishing in Latin America: not only is it the oldest event of this type and with the largest number of audiences for each edition, but rather concentrates the largest number of international publishers participating. This year the figure is record, with 48 Latin American publishers from Argentina, Brazil, Colombia, Mexico, Paraguay, Peru, the Dominican Republic and Venezuela. 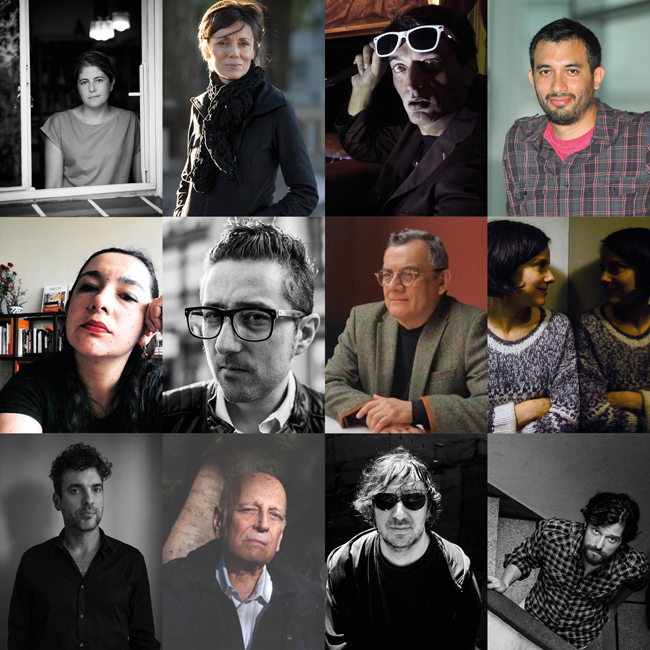 Among the local proposals will be an important number of Chilean authors who have set standards in recent years, such as Alejandra Costamagna (finalist of the Herralde Prize of novel 2018 and winner of the MOL for best novel unpublished), Lina Meruane, Andrea Jeftanovic, Camila Gutiérrez, Natalia Berbelagua, Camila Valenzuela León, Claudia Andrade, Gladys González, Paula Ilabaca, Karina Cocq, Lyuba Yez, Sol Díaz, among others. In addition, the inauguration will feature a poetic reading by Elvira Hernández, Iberoamerican Poetry Prize Pablo Neruda 2018. One new feature, Plaza Zócalo will open for the first time to perform workshops and activities on the stage. For the traditional Lectura Furiosa, it is already posible for you to register sending an e-mail to actividades@lafuriadellibro.com with subject “¡Quiero leer!”, for those who want to share their texts.